We recently asked Americans to tell us the ideal ages for accomplishing certain financial goals. Then, we ran their responses by 10 certified financial planners living in different parts of the country. Americans’ expectations overall were fairly realistic—but some experts argue that when it comes to hitting key milestones in life, age is arbitrary. What’s more important is whether you’re financially ready to make certain decisions, says Jennifer Faherty, founder of Financial Wealth-Being. The ideal age to open a first credit card is 22, Americans say, but according to many financial planners, the sooner you start building credit, the better. Parents who want to teach their children how to use credit cards responsibly at a young age can help them sign up for a secured credit card. These types of cards require you to make a cash deposit that becomes your credit line. With time, you should have the opportunity to trade in your secured card for a traditional, unsecured credit card. Another option is to make a teenage child an authorized user on a parent’s account—but any mistakes that are made can impact the parent’s credit score. Lucas Casarez, founder of Level Up Financial Planning in Fort Collins, Colo., used to help clients open their first credit cards when he worked at a credit union. Many of the people he helped were 18 and 19 years old. He sees nothing wrong with someone that age having a credit card, as long as they have someone showing them the right way to use it. Quentara Costa has a different opinion. She’s seen too many college kids with credit cards getting themselves into trouble. Waiting until you’re 22 to open a credit card is a safer bet, says Costa, a certified financial planner in North Andover, Mass. While there may be benefits to getting a credit card at a younger age, postponing the purchase of your first home may be advantageous. Americans, on average, say 28 is the ideal age to become a homeowner, but many experts recommend waiting until you’re in your early 30s to take the plunge. Once you graduate from college, Helen Ngo thinks it’s best to wait at least 10 years before buying a home. That way, you have a better idea of where you stand financially and whether you can take on a mortgage. Unless you’re in a stable financial position and you have access to a lot of cash, it’s probably best to avoid buying a home until you’ve paid off your student loans, says John Piershale, a wealth adviser in Crystal Lake, Ill.
Generally, buying a home at any age isn’t a good idea if you’re not planning to stay there for at least five years. That’s particularly the case if your goal is to build home equity, Ngo says. “If you’re purchasing a home, how much time are you going to live in there in order to get the actual equity value out of it? Unless you buy a fixer-upper and you put more money into it, and then you’re able to sell it real quick and you might make $100,000 extra out of it…but most people aren’t doing that,” Ngo says. 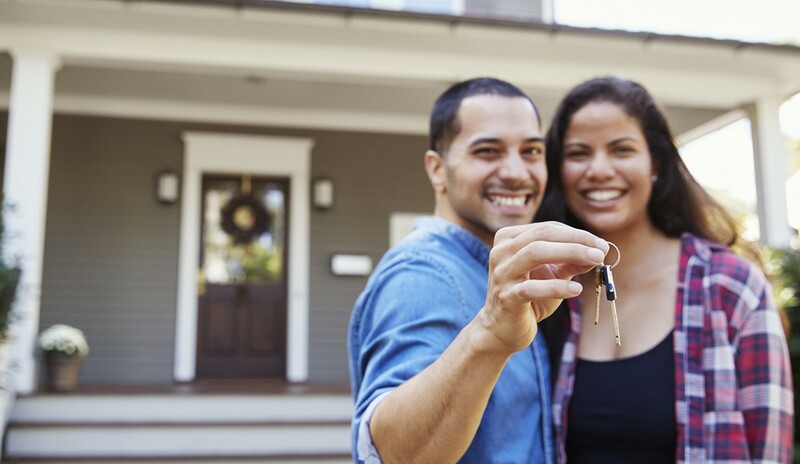 Even if homes seem affordable where you live, think beyond the cost of the mortgage when deciding whether to become a homeowner. Factor in the cost of property taxes, home repairs and unexpected expenses. Think about the costs involved with selling the home, too, like paying closing costs. You’ll also want to consider market conditions. Percy Bolton, founder of a financial planning company in Pasadena, Calif., says he wouldn’t buy a home right now because it’s a seller’s market. Americans say the ideal age to start saving for retirement is 22. According to the financial planners we polled, it’s best to start saving as early as possible. The average age the experts suggested was 21. Costa says it’s important to start saving money at a young age, but starting to save for retirement as a teenager isn’t necessary. Lauryn Williams, a four-time Olympian who founded her own financial planning company, says you can start saving as early as age 19 in a Roth IRA. The stereotype of the broke college student is misleading, she says. Even college kids have money that they could be saving. Another recent Bankrate survey found that millennials prefer cash over stocks, but when it comes to preparing for the future, having mostly cash investments will ultimately cost you. Americans say the ideal retirement age is 61, but the financial planners we surveyed agreed that retiring at 61 wasn’t realistic for most people. What’s more, the way people think about retirement is changing. “I think if you redefine what retirement means, you can retire at different stages in your life,” says Ngo, founder of Capital Benchmark Partners. Ed Leach, a certified financial planner in Wayne, N.J., says he has clients who are executives and business owners. They sell their businesses and “semi-retire” by doing consulting work. Other financial experts say their clients are retiring later by choice. Sixty percent of her clients would list 70 as their ideal retirement age, Williams says. If you love what you do, you don’t have to stop working. Working until you’re 70 or 80 may be more possible today than in the past now that more people today have white-collar jobs, Leach says.